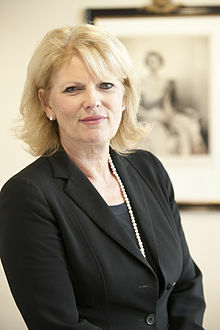 Minister for Small Business, Anna Soubry (pictured left) has announced that, from early next year, clauses in commercial contracts that obstruct the use of invoice finance (including “ban on assignment” clauses) will be outlawed. This move is a direct result of the government’s crackdown on Britain’s late payment culture, after it was estimated that British businesses are owed approximately £26.8 billion in overdue payments – a figure that is set to rise. For some businesses, invoices are the only assets against which they can borrow and larger firms especially can use restrictions in their terms and conditions to prevent supplier invoices being financed. This leads to delayed payments, and cash-flow difficulties for many SMEs. The Government has consulted a wide range of interested parties on this subject, including business owners, trade associations, lenders, academics and legal practitioners, and this change in the law is the result of feedback received. Apply to business to business contracts only (and not business to consumer contracts). Extend to all businesses, regardless of size. Exclude contracts with interests in land. Do not create any special provisions for supply chain finance arrangements. This will allow suppliers to opt into supply chain financing agreements or seek alternative arrangements with other invoice financers. Begin from commencement of the regulations – changes will not be retrospectively enforced. Only apply where the parties conduct a business to business transaction under English law and one of them carries on business within the UK. The Government hopes that by implementing these changes, it will directly benefit smaller businesses and reduce the abuse of position that some larger companies have exerted in the past. It is also hoped that it will contribute to making the UK a more attractive place to start and grow a business without fear of cash-flow issues or access to needed funds. HMRC have announced that from 3rd August 2015, it will be mandatory for all Time to Pay (TTP) arrangements to be collected by direct debit. TTP arrangements allow selected businesses, who cannot pay their tax bill on the due date, to pay the balance in instalments, over a period that they can afford, ultimately helping many businesses cope with short term cash-flow problems. Arrangements are tailored to the ability of the customer to pay and are typically for a few months, although can be longer. The granting of TTPs are decided selectively, on a case by case basis, by HMRC. Direct Debit is a more cost effective and secure method of payment. It removes the chance that the customer will forget to make payment. Payments are more likely to be correctly allocated by HMRC. Reduces the need for subsequent customer contact, saving time for the customer and HMRC. Direct Debit scheme includes a guarantee to protect the customer. For those business not able to make payments by Direct Debit facilities, i.e where a bank account will not allow it, then other payment methods may be agreed upon with HMRC, on an exceptional basis. Existing TTP agreements will not be affected by the new changes. For further guidance, and for more details on TTP arrangements, please visit www.gov.uk/difficulties-paying-hmrc . 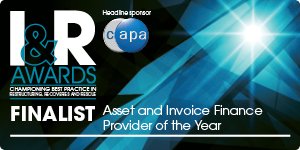 We are very pleased to announce that Gener8 has been shortlisted as a finalist for the Insolvency & Rescue Awards, in the Asset and Invoice Finance Provider of the Year category. Now in its eighth year, the I&R Awards (www.insolvencyandrescueawards.co.uk), provide a forum to recognise the achievements of firms and individuals working within a challenging sector in today’s economy. A panel of over 20 expert judges, including representatives from the Insolvency Practitioners Association (IPA), the Institute of Chartered Accountants in England & Wales (ICAEW), Credit Today and Insolvency News amongst others will decide the winners. We will find out how we got on in our category at the awards ceremony on 21st October 2015 at the Hilton Park Lane Hotel in London. Paul Stokes, Gener8’s Managing Director has stated: “We are very excited to have been included in the judges’ shortlist for the Asset and Invoice Finance Provider of the Year at the 2015 Insolvency and Rescue Awards. This reflects our commitment to working closely with the insolvency and turnaround profession to help businesses that are facing financial difficulties for a wide variety of reasons. The Gener8 team would like to thank the judging panel for selecting us as finalists. We are very much looking forward to the awards ceremony, and wish all the other entrants good luck for the finals. Are you one of the 75% of British business owners who have no contact with their bank?